You must have heard of the term big data before, but you are probably in the dark about the dynamics of this emerging trend. Well, big data refer to large data sets that are more complex than what is usually known as traditional data. Data mining, on the other hand, refers to the art and science of discovering and exploiting trends in data. It is apparent that data is an important decision tool for businesses today owing to the amount of information that can be accrued from data analytics. In fact, it has been predicted that many businesses in the future will benefit from sophisticated data mining methods. This article digs into the world of data mining in a bid to explain to you what data mining entails coupled by its importance to business today. 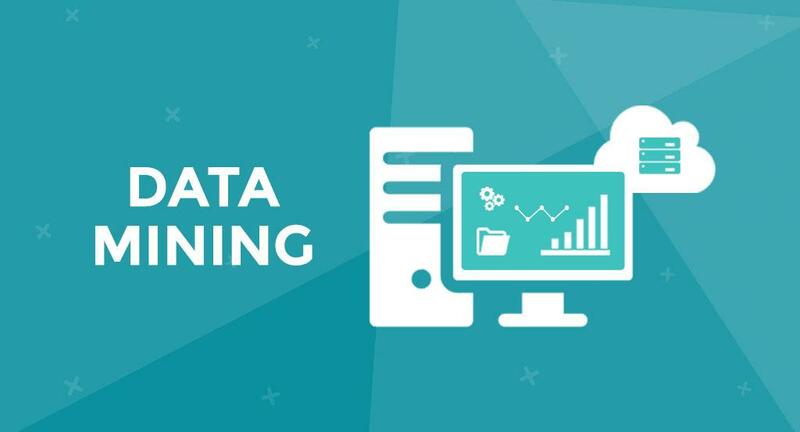 There are many classifications for data mining techniques with the main ones being – association, classification, clustering, prediction, sequential patterns and decision tree. Decision trees are one of the most adopted data mining methods thanks to its simplicity and efficiency in the analysis of data. This technique starts with the representation of conditions or questions with a root of a tree. The root forms an answer to the given question and then leads to its own set of conditions and answers. The process is continuous and recurrent until all the roots terminate at the last set of conditions/answers. With this technique, data can be represented in a graphical nature. Have you ever wondered how the Amazon product and service recommendation system works? Well, the trick lies in associative learning. Association rules are basically IF & THEN statements that reveal information in databases. For example, if a customer buys an egg, there is also 85% chance to buy milk. Associative learning is achieved by analyzing data through IF-THEN statements, then finding out the number of times a product appears in a database. The next step is to find out the reliability of a number of times IF-THEN relationships. It is invaluable in predicting behavioral characteristics of customers and can be integrated into building programs that exhibit Artificial Intelligence. This is a data mining procedure that makes the most of information obtained from a cluster of objects that exhibit similar characteristics. To understand the technique even better, one should understand the meaning of clustering. In simple terms, clustering requires groups of abstract objects to form groups of similar objects. To perform clustering, you will first need to partition a set of data into groups, and then assign labels to the groups. Take an example of a library with a wide variety of books available for readers. Of course, the first challenge that arises is making these books available for users interested in a particular niche. To solve this through clustering, one could arrange books with similarities in a given section, then label them in a way that is easy to identify. In this technique, businesses try to identify some regular patterns and trends of a given transaction data and within a stipulated period of time. A good example is analyzing transactions to find out products or services that customers buy in particular seasons of the year. As the name suggests, this is a technique in data mining whereby information from data is used to predict trends and patterns. The unknown event will normally be in the future, but at times it can be of the past. The key part of the predictive analysis is that relationship between explanatory variables and predicted variables that are used to find the unknown patterns. The accuracy of this technique relies on data analysis levels and quality when making assumptions. This data mining technique is often confused with clustering. Unlike in clustering, objects, in this case, are assigned into predefined classes or groups. In data mining, this technique has its foundations of machine learning. For example, spam filter does identify spam emails and put them in a different group. It adopts complex mathematical concepts in the realm of statistics, neural networks, linear programming among others. With such principles, one can develop a system that is able to learn and classify data items into groups. Data mining can be used to build a model based on several variables, for example, regression can decide the price of a house on the base of the number of rooms, location, and size. Thus, the target is house value, other aspects are predictors and the output data helps to make a case. Regression predicts the value of the target in the build data set. The historical regression data are divided into two sets like building the model and testing the model. The list is not exhaustive as there are a bunch of other useful data mining techniques like regression, anomaly detection and many more. What Can Data Mining Do for You? Data mining has got a wide array of advantages to businesses in the world today. Here, we take a look at some of the most common benefits you could accrue from adopting data mining techniques. By using data mining techniques, you can be able to analyze behavioral characteristics of your customers and predict future sales. This way, you can determine complimentary products or services you can offer. You can also use it for the number of customers in the market to predict how many will buy from you. Merchandise planning is a very important aspect and data mining can be colossal in getting you the right stocking and warehouse options. Things include in merchandise planning like choosing the right product, price, stock balancing, etc. This can be done through database mining strategies- a technique that will surely improve your decision making. Marketing is one very important aspect of business meaning that a lot has to be invested in getting the right strategies tailored to your brand. Database marketing is vital in the sense that it gives pinpoint statistical approaches to marketing. Through analysis of demographics, psychographics, one can get to save the cost and optimize the efficiency of marketing campaigns. In the world where competition is dynamic, keeping customers happy is no longer an option, thus CRM is seen as an important factor in business. Retaining customers is the number one target for many businesses and data mining presents ways to get this done efficiently. By using tools that track employee data, essential social media data and other relevant data, a business can build powerful CRM systems. How Data Mining is implemented? A successful data mining procedure is usually broken down into three phases: Targeting Study, Proof of Concept and Deployment. The targeting study is the initial stage whereby the potential user of the mined information, gives an overview of the pattern and trends they might be interested in. On the Proof of concept stage, estimates are done to determine the ROI of the procedure and the technical risks involved. The last stage involves extraction of and cleaning of data. This is just a drop of water in the sea. The future is bound to be better with businesses being granted the power of data mining. Even the most successful companies are adopting this approach so expect the trend to grow bigger in the near future. In other words, it’s time to jump into the wagon and grow your business revenue.